Believe it, Batman fans - the Joker has been cured of his insanity, and is out to show the citizens of Gotham that the true villain of their city has always been the Dark Knight. 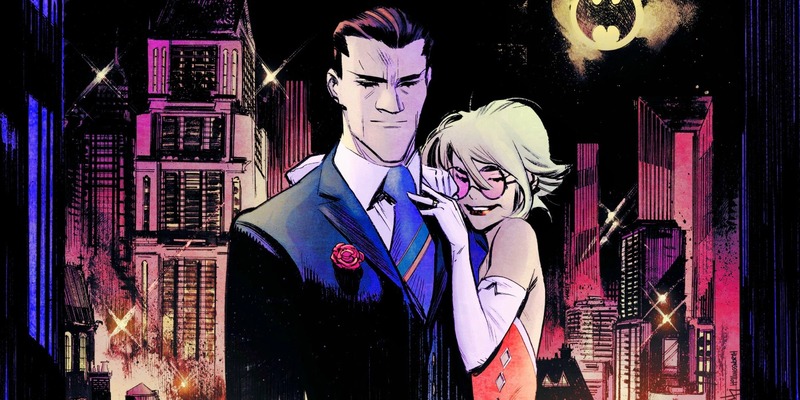 That's the premise of Sean Murphy's new comic series Batman: White Knight, a story that puts most assumptions about the morality of Batman under the microscope in its first issue. Casual fans of the caped crusader may scoff at the very idea of Batman being made the 'villain,' but given the current state of our actual world... the idea of a brutal vigilante operating above the law may not be as heroic a figure as he once was. In fact, he may be the very villain he once hoped to defeat. At least, that's the case that Joker-- sorry, the man named Jack Napier will be making when his trial begins. The trial of the Joker may sound like a major DC milestone, but White Knight is set in a world all its own - meaning any outcome is possible. 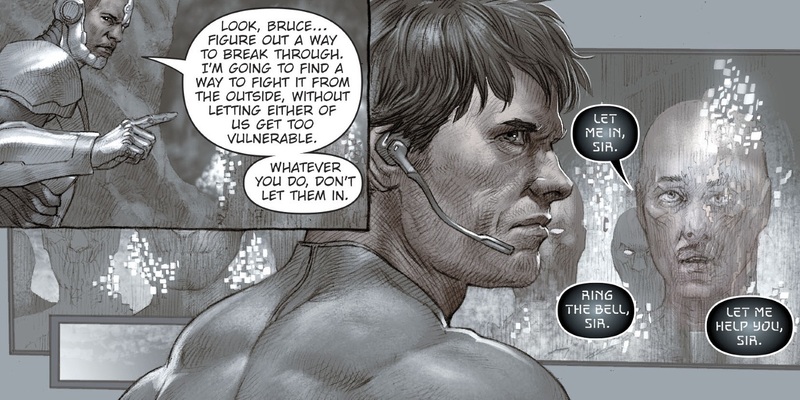 But in an intriguing twist, writer/artist Murphy has already revealed how the case will ultimately go. What is Batman Without The Joker? 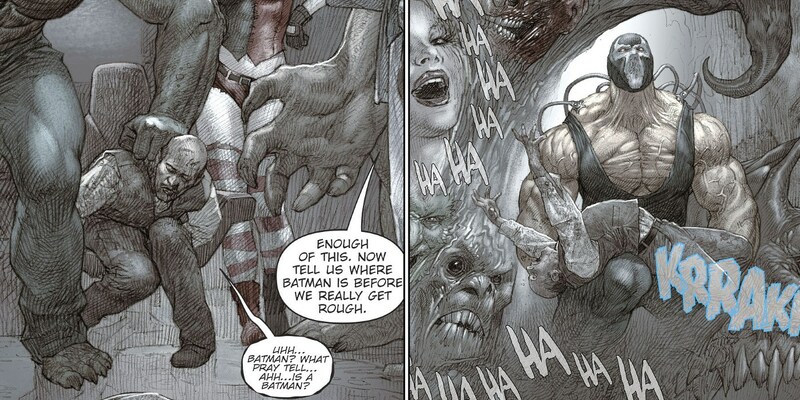 After that aforementioned glimpse of how the case of Joker and Gotham City v. The Batman turns out, the story of White Knight #1 shows the extreme methods employed by Batman in his typical pursuit of Joker. Fans might expect for Batman to be shown as particularly more violent, dangerous, reckless, or harsh in a non-continuity story making Joker the hero... but in truth, it's not a stretch. Batman isn't usually a sympathetic, sentimental, or pensive figure when Joker is actually making his escape, and White Knight merely heightens the action. Intentionally so, as Murphy's Joker soon reveals the pursuit to all be one carefully-orchestrated game of cat and mouse. 'Game' is the operative word here, too. Modern fans of the Dark Knight and the Clown Prince of Crime will be used to seeing their relationship played as more than adversarial. It can be, in certain creators' hands, the stuff of myths. Symbiotic. Or even more, it can give each man the very reason they need to keep on living. Murphy (along with colorist Matt Hollingsworth) takes the dynamic and runs with it, revealing Joker isn't trying to escape anymore: he wants Batman to admit their connection. To admit that Joker truly knows him like nobody before or since their paths crossed. As we suggested above, Joker makes a strong case that will resonate with longtime Bat-fans. Gotham's people and police, he claims, allow Batman to exist because Joker is beyond their abilities. If Batman refuses to acknowledge it - which of course, he does - then Joker will force him to realize the truth. How? By erasing the Batman's nemesis from the equation. When word of Joker being cured in DC Comics broke, there were many who took exception to the idea that such mental illness and criminality could simply be 'cured' by any means. Murphy hasn't shied away from the suspension of disbelief, to some extent, needed to launch into the real purpose of White Knight's premise. But from the first scenes, it's clear that this incarnation of the Joker is more mentally present, intelligent, and self-aware than the more 'crazed' incarnations fans may be familiar with already. So when Joker discovers just how deep Batman's denial and inflated ego go, he unveils his pièce de résistance in the form of unidentified pills. Medication, he reveals, that holds the key to his restored sanity. And restore it, it does, leaving Joker with genius-level mental function, no sign of violent or extreme tendencies, and recovering from the wounds that Commission Gordon and the GCPD failed to prevent. It's the tip of the iceberg that Murphy seems determined to spotlight at a time when police brutality, corruption, and the trampling of individual rights is a daily conversation. 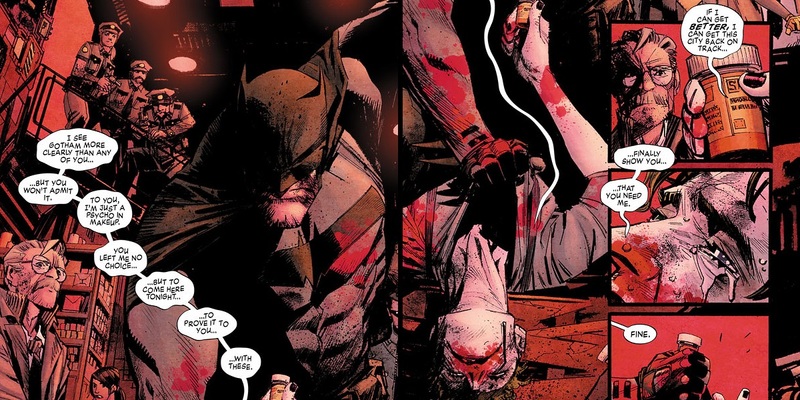 Jim Gordon has aided a vigilante for years, and Joker is finally calling him on it: demanding that Batman be brought into custody, or have the entire police force face the music. Yet Joker's demands aren't given the air of a victory... but sadness, having come to realize that Batman isn't who his nemesis believed him to be. If Batman isn't Joker's willing dance partner, then he's deluded himself into believing he's in the right. And Jack Napier is about to show him how wrong he really is. The Joker Wins Before The Story Begins? With the issue's final page showing Jack's determination to leave the 'Joker' identity behind, and become the hero his city needed all along, the beginning tease may seem anti-climactic. Batman in chains within Arkham Asylum, and Jack Napier commanding authority over all he encounters (even claiming some of Batman's best toys for himself) may seem like a spoiler, but the real story hasn't even begun. Fans can't help but wonder how easily the citizens of Gotham turn on the nightmare stalking their streets, or whether Joker's assertion - that Batman causes as more destruction than he prevents - is true.And most importantly, why is Jack Napier seeking Batman's help when the issue begins? Batman: White Knight #1 is an opening tease, raising more questions than it answers by design. But those fearing it was a 'stunt' of a story can rest easy, since Murphy has clearly chosen a sizable story to pursue. The bigger picture may only be glimpsed this early - race riots in Gotham City, a less forgiving (but no less valid) reading of Bruce Wayne's crimefighting, and not even superheroes being above the law - but what we see is more than promising. Not just a Joker story that deserves to be seen, but judging by the world it's already reflecting, one that needs to be told. Batman: White Knight#1 is available now.